We're building the world’s first Bronze interactive sculpture at Laurel Park in Cincinnati’s West End. Longtime resident of Cincinnati’s West End neighborhood. Heavyweight Champion of the World. Entrepreneur. Renaissance Artist. The people of Cincinnati agree. 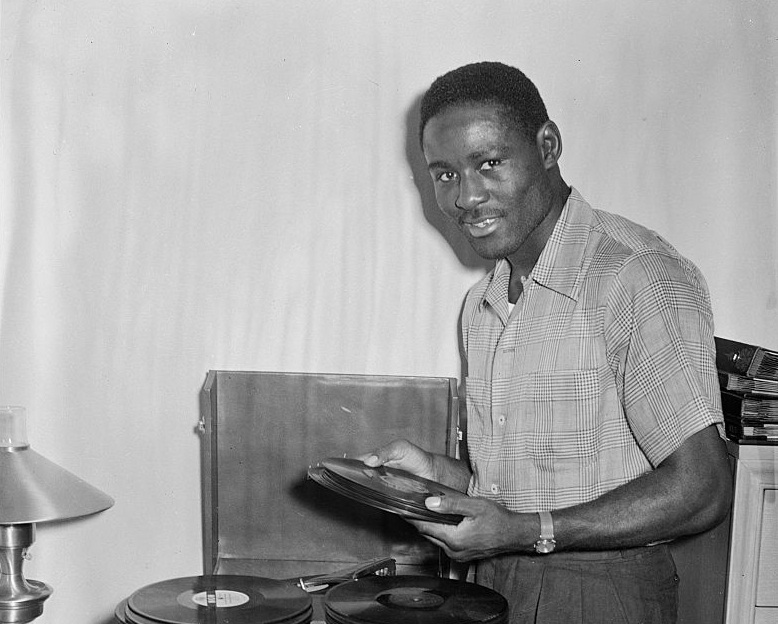 There are few Queen City heroes like Ezzard Charles. Help share Ezz’s inspirational story. Support Cincinnati Parks mission of Conservation, Health and Wellness. 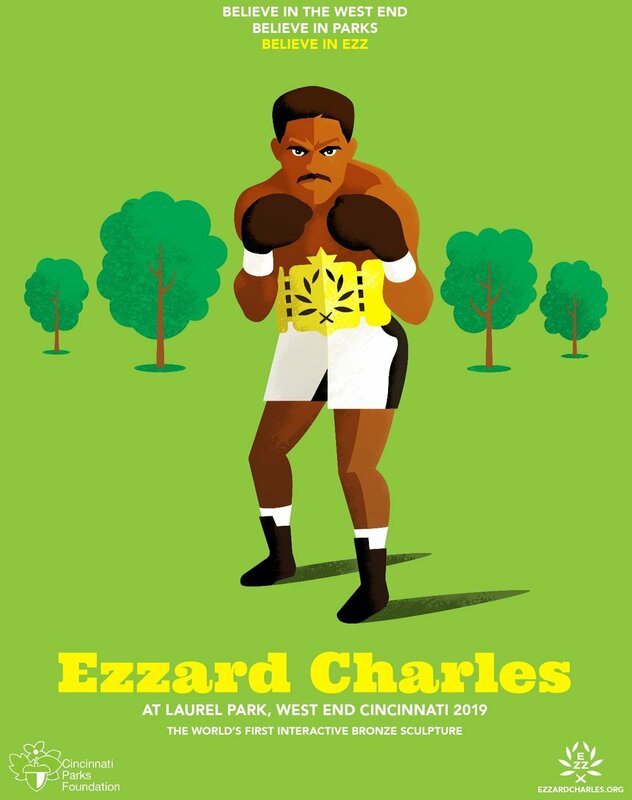 Support the World’s First Interactive Bronze Sculpture of Ezzard Charles standing tall in Laurel Park; on the street renamed for him; in the heart of the neighborhood he inspired. 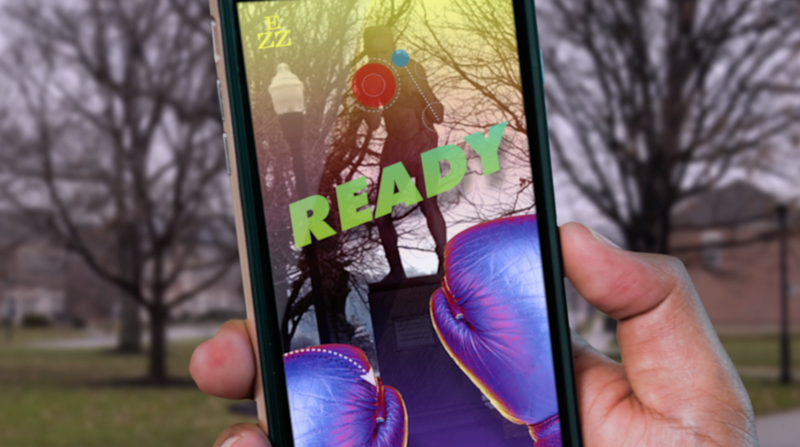 The Interactive Sculpture of Ezzard Charles in Laurel Park comes from private support outside of the Cincinnati Parks operating budget. We are a group of artists, makers, writers, thinkers and community believers, and we are looking for your support. West End is a neighborhood in Cincinnati, Ohio, located north-west of downtown, east of Queensgate, west of Over-the-Rhine, and south-east of Fairview. The population was 6,627 at the 2010 census. The historic West End was largely razed in the 1950s as part of a series of urban renewal projects, including the construction of Interstate 75. The West End is the location of City West, the largest housing development project in Cincinnati since World War II. The project transformed the once low-income area into mixed-income development. In 1999 many of the blighted, cramped buildings were leveled to make way for new townhomes with ample parking. NEW YORK, NY - DECEMBER 5, 1948: Ezzard Charles works over the light bag during training at the Uptown Gym, in New York, NY on December 5, 1948. Heavyweight boxing champ Ezzard Charles walking between 2 friends below sign reading: WELCOME HOME EZZ - CINCY'S 1ST WORLD HEAVY CHAMP, through city streets of Cincinnati. Heavyweight boxing champ Ezzard Charles refereeing 2 youths in gym of the YMCA, Cincinnati. 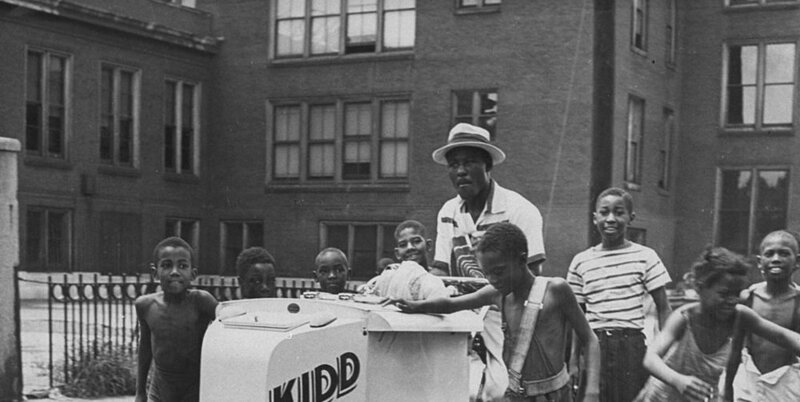 Heavyweight boxing champ Ezzard Charles pushing ice cream cart as group of local black youths follow him in city streets, during visit to hometown. 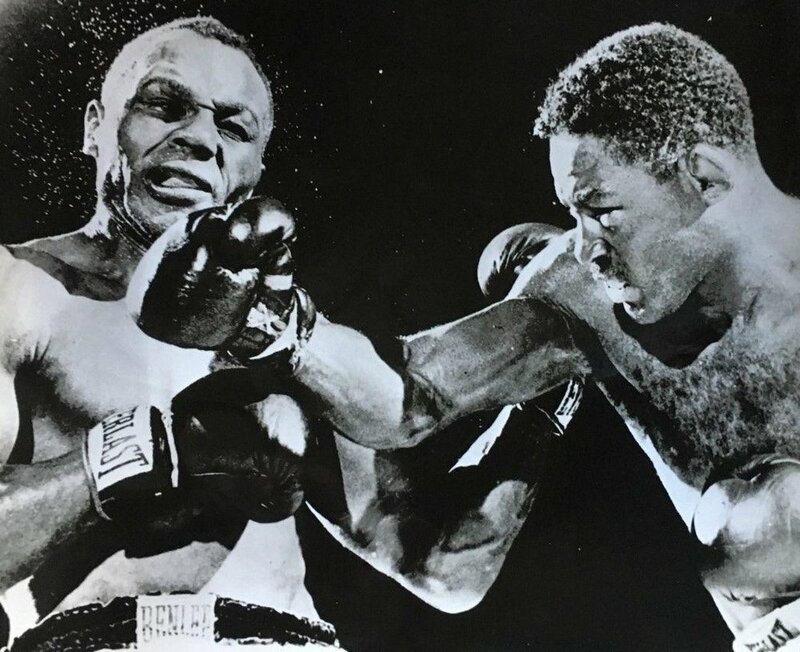 Cincinnati boxer Ezzard “Ezz” Charles; who embraced community, courage, family and patriotism on both sides of the ring as Heavyweight Champion, Philanthropist, Teacher and Engaged Citizen. A veteran sculptor and advocate for public art, John Hebenstreit continues the fine arts traditions of his Cincinnati family specializing in figurative sculpture. Hebenstreit complements the years of fine arts education he received from his parents with studies at the Art Institute of Pittsburgh’s industrial design program and the Cincinnati Academy of Design. There’s a bold spirit driving his artwork from the statue of George Vanderbilt at the Biltmore Ramble to the Black Brigade monument at Smale Riverfront Park as well as portraits of famous musicians for Guitar Center Hollywood’s Rockwalk. An emerging mixed-media artist and former People’s Liberty grantee, Kailah Ware is a native of Cincinnati’s West End. Ware values inclusivity and connectivity as the driving forces behind her photography and filmmaking projects. Ware continues to put her artistic skills and social themes to the test via 1DegreeOf Separation, a mixed-media installation that ignites the common people and everyday places of Greater Cincinnati. Specialties: Community activism, installations, mixed-media, motion pictures and photography. Andrew brought the concept of this project to the team and the West End Community. He is a local POP Artist who has worked on several acclaimed works that include POP reinterpretations of historic images of Cincinnati's architectural landmarks. Andrew has been an active West End resident and Laurel Park Advocate, volunteering his time with Visionaries & Voices and Necco.org. He also works at Liberty Mutual in Regional Sales and studied at the University of Cincinnati. Andrew has been on the Board of Directors for the Cincinnati Parks Foundation since 2018. Jason has over 15 years of creative experience and running his owner design and print shop, We Have Become Vikings. It is through his creative process & passion for discovery that drives him to never turn it off. Using strong lines, simple language, & rock & roll as his main source of inspiration he creates for his neighbors & Fortune 100 companies across the globe. 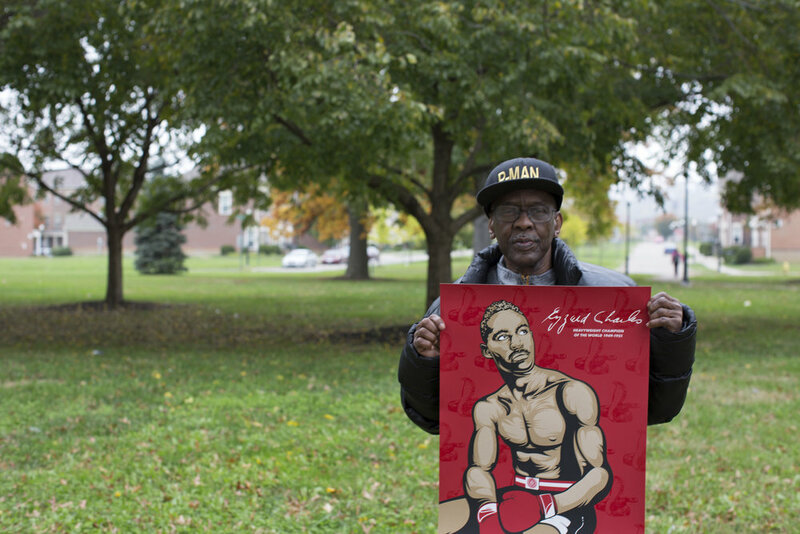 Jason started his research and love for Ezzard Charles kicking off the “Legend Series” Ezzard Charles mural with Artworks a handful of years ago, helping to tell the Ezz story. Specialties: animation, design, illustration, painting, printing, sound design and storyboarding. At his core, Steve Ramos is a content marketer and writer helping customers grow in impact and profitability. His business, culture and tech stories have been published in QZ/Atlantic Media, Fast Company and NY Mag. In fact, his Fast Company story on filmmaker Joss Whedon, Why You Need a Creative Shift Instead of a Vacation, inspired his creative shift into content marketing, product management and strategy. Specialties: Client services, copywriting, content marketing, interactive marketing, media relations, publicity, product management, storytelling and writing. Tom is an attorney at GE Aviation. 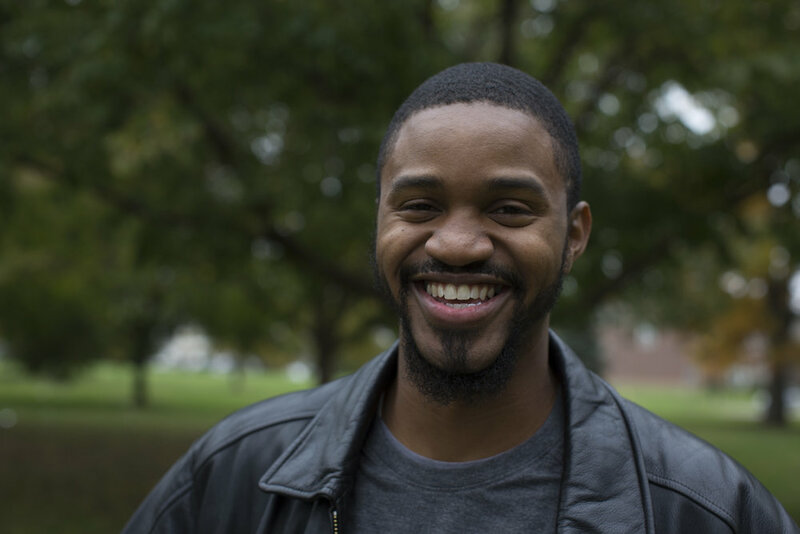 He is a founding member of the Cincinnati Parks Foundation's Emerging Leaders Group. Tom was a member of C-Change through the Cincinnati USA Regional Chamber. He and his wife Holly have two children, Frost and Cecily. Tom has been on the Board of Directors for the Cincinnati Parks Foundation since 2014. Proud philanthropic partner of the Ezz Team. 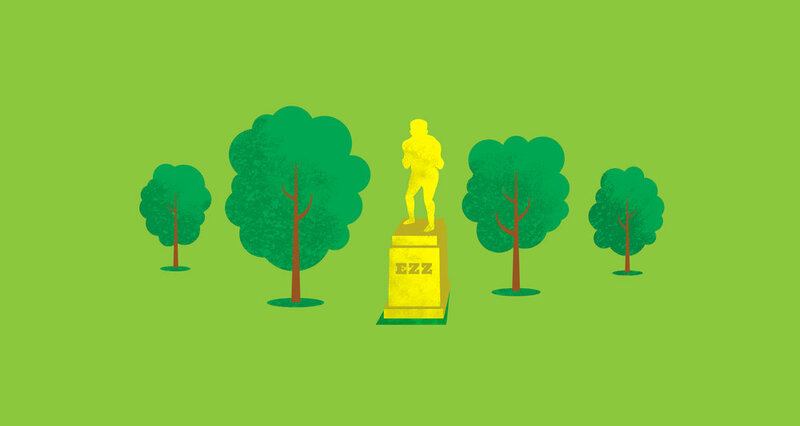 The Foundation is committed to building broad-based private/public partnerships supporting the conservation and enhancement of our city's parks and greenspaces.